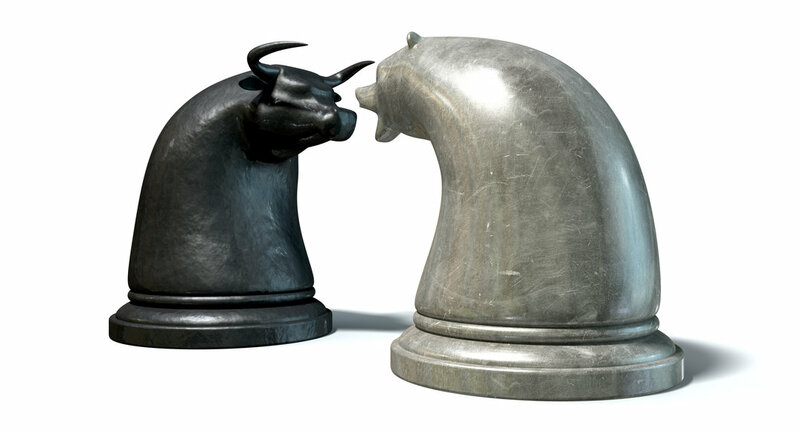 Have Insiders Turned Bearish on the Market? The average bull market lasts four and a half years. This one just had its fifth birthday. And nervous stock market investors have had more to chew on in recent weeks: Fed tapering, soft earnings news, slowing growth in China, geopolitical tensions with Russia, newfound enthusiasm for equities among small investors (a famous and well-founded contrarian indicator known as "the odd-lot indicator," since small investors are often unable to buy in round lots of 100), and - oh yeah - the fact that the Dow has returned approximately zero so far this year. And there's more. In a recent column in The Wall Street Journal, Mark Hulbert offers "The Inside Scoop: Officers and Directors Are Bearish." He declares that corporate insiders "are more bearish than they have been at least since 1990." That doesn't sound good. Is this the time to bail on stocks? Hulbert rightly points out that corporate insiders "know more about their companies' prospects than the rest of us." How could it be otherwise? They have access to all sorts of material, nonpublic information that is unavailable to the rest of us. They know the direction of sales since the last-quarter report, whether there are any new products or services in development, whether the company has gained or lost any major customers, whether any pending litigation is about to be settled, and so on. This gives them an unfair advantage, so Uncle Sam requires that they file a Form 4 (electronically) with the SEC any time they buy or sell their own company's shares, detailing how many shares they bought, at what price and when. This helps level the playing field. But do they know whether the market is about to go up or down? Of course not. No one can know that. And you can't devise it from their buying and selling patterns either. Hulbert urges caution because in recent weeks corporate officers and directors have sold an average of six shares of their company's stock for every one that they bought, double the average ratio since 1990. With dividends reinvested, stocks have nearly tripled in the last five years. Wouldn't a reasonable investor take some profits, regardless of their outlook for the economy or the market? Academics will point out that when the ratio of selling to buying is this high it has sometimes preceded trouble for the market. But there have been other times when it hasn't. The insider ratio was virtually the same as it is today in early 2007 and early 2011, for example, and stocks continued to go up. In short, insiders know an awful lot about their own companies' prospects. When they buy a significant number of shares with their own money at current market prices that should get your attention. But insiders don't know what the market is about to do. So you can safely disregard indicators based on their aggregate behavior. As an investor, the important issue is what insiders are buying and why... not how many are selling and when. P.S. It's easy to let insiders rattle you when it seems like they're in "Sell" mode. But profits are made when you take note of their buying activity inside their own companies. In fact, as Alex often says, there's no more powerful "buy" signal, which is why he created The Insider Alert. Subscribers are in the black on six of his seven recommendations this year alone, picking up an average of 16%. To learn how to join them, click here. As Alex notes today, few investment strategies are as elegant and powerful as simply following insider action within companies. A perfect example is tobacco company Vector Group (NYSE: VGR), which has been in The Insider Alert portfolio since July and has returned a healthy 42%. Alex noticed the buying of a director, then added his own expert analysis. "Based in Miami, Vector manufactures and sells 117 combinations of cigarettes under the Pyramid, Grand Prix, Liggett Select, Eve and USA brand names. Its products are sold through large grocery, drug and convenience stores, as well as through traditional tobacco distributors. In addition, it owns 50% of the Douglas Elliman real estate brokerage. "The outlook for this business is promising. Director Bennett LeBow purchased 300,000 shares last month, an investment of $4.8 million. That shows real conviction that the stock is undervalued. "So follow the lead of Bennett LeBow and add this stock to your portfolio."